Storage space is one of the most important features that a server can have when creating or maintaining a web page, so everything must be done to save it and thanks to this tool that WP File Download offers, you will be able to save a lot of space. OneDrive is a file hosting and synchronization service operated by Microsoft as part of its suite of Office Online services. OneDrive allows users to store files and personal data, share files, and sync files through various platforms. The developers of WP File Download have created a tool that allows them to be connected with Microsoft OneDrive and thus not generate a significant impact on server storage space. 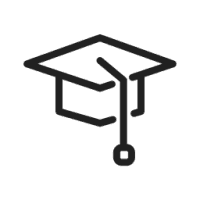 Why Should I Use A WordPress OneDrive File Manager? 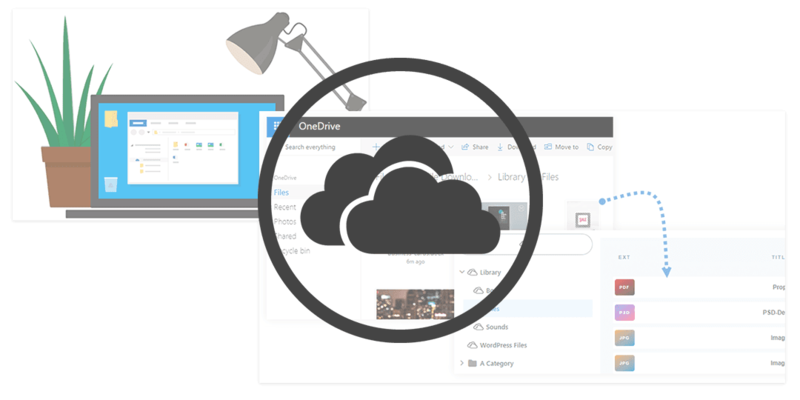 This wordpress OneDrive file manager integration allows you to save a lot of storage in a really simple way and not only that, it will make things much easier for you if you work with OneDrive and wordpress through the different tools it offers. As we know, there are many elements that can occupy the storage on your server and, also, many ways to save this space, this WP File Download tool has been designed to help the server with this from a really simple way. This WP File Download tool allows you to connect your wordpress site with OneDrive and, in this way, use all these files that you have hosted in the cloud with WP File Download without having to download them to your server since these will only be indexed at the same time. that will not affect storage at all. Not only you will have the benefits of not having these files hosted on your server, you will be able to also manage the files you have stored in OneDrive, this tool allows you to add files to your account, create folders, delete files so you can manage all your files OneDrive from your site and you can also add files in OneDrive and see them in your WP site. So if you want to have everything saved in the cloud and apart from managing your OneDrive account from your WP site, this tool is perfect for you. This OneDrive connection is really easy to activate, first be sure that you’ve installed the add-on (plugin) additionally to WP File Download (The addon includes integration for Google Drive and Dropbox too). You’ll have to go to https://apps.dev.microsoft.com/login and sign in to your Microsoft account to create a Microsoft App. Now type the application name. At the “Platforms” section click on Add Platform > Web. Now go to WP File Download > Configuration > Cloud Connection > OneDrive Here you’ll be able to copy the Urls to paste it on the Microsoft App. A password will be generated, copy it and save changes. Now go to your WP Site on the WP File Download > Configuration > Cloud Connection at the OneDrive section copy/paste the password that has been generated and the application Id from the Microsoft application. And that’s all, a root folder will be created in your OneDrive account. The option to create a OneDrive folder in the WP File Download dashboard will be added too. This awesome tool will let you create folders with your wordpress site that are automatically synchronized with your OneDrive account, you’ll be able to upload “WordPress OneDrive documents”. Go to WP File Download and click on +New > New OneDrive Folder a folder synchronized with OneDrive will be created. The folder will be inside the root folder that has been automatically created before in the OneDrive account. And all the media added to the folder (in WordPress) will be added in OneDrive too, you can also move folders created before in your account to the root folder and see it in your WordPress website. wait a few seconds and the folder with all the media inside will appear in your WP site. You can use all these folders to upload files from one side and see it in the other, that’s magic, isn’t it?. All these files can be managed as the others added in your server, with themes, filters and everything in the right panel. To create a page/Post with the OneDrive folders go to Page/Post and click on "+" > WP File Download Category. Select the OneDrive folder and click on publish your WordPress page. The Category will be displayed with the theme that you’ve selected. As you can see in the picture all the functions are the same that the ones when your using files stored in the server. What are you waiting for?